Dave Pelzer was brutally beaten and starved by his emotionally unstable, alcoholic mother, a mother who played tortuous, unpredictable games. Games that left one of her three sons nearly dead. She considered Dave a slave; no longer a boy, but an it . His bed was an old army cot in the basement, his clothes were torn and smelly, and when he was allowed the luxury of food it was scraps from the dogs bowl. The outside world knew nothing of the nightmare played out behind closed doors. But throughout Dave kept alive dreams of finding a family to love him. 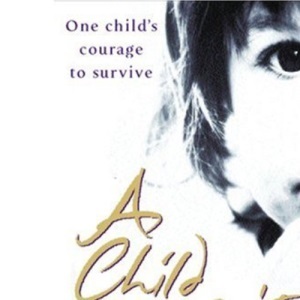 This work covers the early years of his life and the horrors of child abuse as well as acting as testament to the steadfast determination of one child to survive. This book chronicles the unforgettable account of one of the most severe child abuse cases in California history. It is the story of Dave Pelzer, who was brutally beaten and starved by his emotionally unstable, alcoholic mother: a mother who played tortuous, unpredictable games--games that left him nearly dead. He had to learn how to play his mother's games in order to survive because she no longer considered him a son, but a slave; and no longer a boy, but an it. Dave Pelzer was brutally beaten and starved by his emotionally unstable, alcoholic mother, a mother who played tortuous, unpredictable games. Games that left one of her three sons nearly dead. She considered Dave a slave; no longer a boy, but an "it". His bed was an old army cot in the basement, his clothes were torn and smelly, and when he was allowed the luxury of food it was scraps from the dogs bowl. The outside world knew nothing of the nightmare played out behind closed doors. But throughout Dave kept alive dreams of finding a family to love him. This work covers the early years of his life and the horrors of child abuse as well as acting as testament to the steadfast determination of one child to survive. Dave Pelzer is recognised as one of America's most effective and respected communicators addressing corporations, conventions and health/psychology/primary care workers. His unique accomplishments have garnered personal commendations from Ronald Reagan and George Bush. He was selected as torchbearer for the 1996 Olympic Torch relay. He has dedicated his life to helping others help themselves.